Last week, the New York State Education Department (SED) released the results for the English language arts (ELA) and mathematics assessments taken in spring 2016 by students in grades 3-8. Local results show that Warwick students have once again exceeded state averages. Warwick students also showed the highest rate of proficiency in math among school districts in Orange, Sullivan and Ulster counties, and the third highest rate of proficiency in ELA. During the 2015-16 school year, 78 percent of students statewide in grades 3-8 took ELA and math assessments. As in the past, students’ scores on the tests are converted into a scoring range of 1 through 4, meant to indicate their degree of proficiency in the Common Core standards for the grade level. Scores at levels 3-4 indicate proficiency (4 means that a student excels in the standards). Overall, students scoring at the proficiency level increased statewide, especially in ELA. 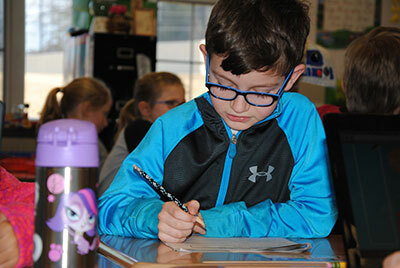 Grades 3 and 4 saw the biggest change in student proficiency on the ELA assessments this year. State officials indicated the difference may be the result of a number of factors, including the fact that students in grades 3 and 4 have received instruction in the new learning standards since kindergarten and first grade; and teachers have had an additional year of experience with the state’s higher learning standards. Warwick students’ combined levels 3-4 proficiency rates were 61 percent for math and 49 percent for ELA, compared with statewide results of 39.1 percent for math and 37.9 percent for ELA. Assistant Superintendent for Curriculum and Instruction, Mr. James Yap, attributed Warwick’s positive results to the hard work of students and teachers, and new professional development programs offered to teachers in the District, which he describes as concentrated and unified.